Give color to the lighting of the lamps in Minecraft. 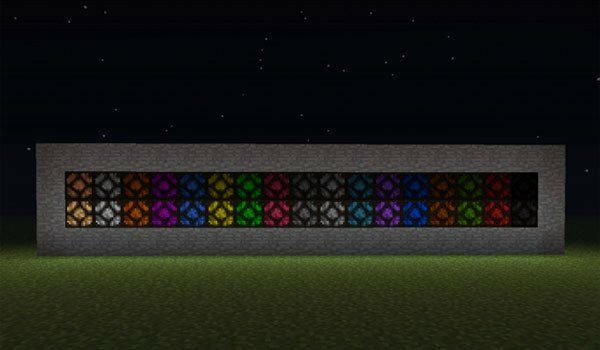 Tinted Lamps 1.5.2 is a mod that lets you use and build up to 16 new blocks of lamps. To do it, just make a normal Minecraft lamp and wrap it with the different dyes of the game. If the lamp once stained, the color does not quite convince you, you just have to place the lamp in the crafting table and add a full bottle of water to get remove the dye and get the traditional lamp. How to install Tinted Lamps Mod for Minecraft 1.5.2? Up to 16 new colors for your lamps!